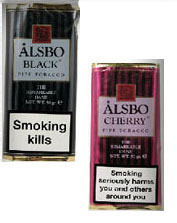 Buy Alsbo Pipe Tobacco at cheap prices online from Cigar Connoisseur, Specialist Tobacconist, based in the UK, including Alsbo Vanilla, Cherry and Black Pipe Tobacco in pouches online. 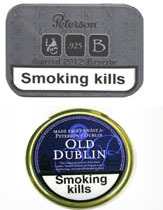 Buy Ashton Pipe Tobacco at cheap prices online from Cigar Connoisseur, Specialist Tobacconist, based in the UK including Artisan's Blend, Consumate Gentleman, Rainy Day, Winding Road, Guilty Pleasure, Smooth Sailing and Gold Rush in tins. 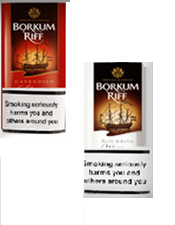 Buy Borkum Riff Pipe Tobacco at cheap prices online from Cigar Connoisseur, Specialist Tobacconist, based in the UK, available in Malt Whisky, Original, Cherry Cavendish and Whisky Bourbon all in packets of 50g. 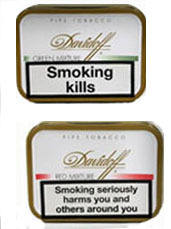 Buy Davidoff Pipe Tobacco at cheap prices online from Cigar Connoisseur, Specialist Tobacconist, based in the UK, including Davidoff English Mixture, Scottish Mixture, Green Mixture, Blue Mixture and Red Mixture by mail order. 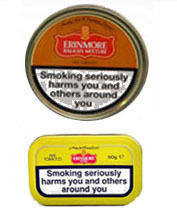 Buy Erinmore Pipe Tobacco at cheap prices online from Cigar Connoisseur based in the UK including Erinmore Balkan Mixture Erinmore Mixture and Erinmore Flake. 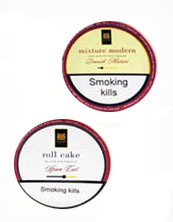 Buy Mac Baren Pipe Tobacco at cheap prices online from Cigar Connoisseur, Specialist Tobacconist, based in the UK are in many flavours including MacBaren Mixture Modern, Navy Cut, Dark Twist, Roll Cake, Black Ambrosia and Golden Ambrosia. 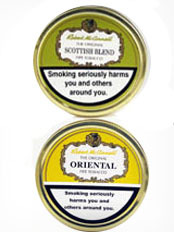 Buy McConnell Pipe Tobacco at cheap prices online from Cigar Connoisseur, Specialist Tobacconist, based in the UK, including McConnell Scottish Blend, Oriental and Glen Piper Pipe Tobacco by Mail Order. 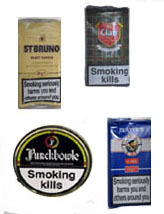 Buy other Pipe Tobacco at cheap prices online from Cigar Connoisseur, Specialist Tobacconist, based in the UK, including Dunhill, My Mixture 965, Early Morning, Erinmore, Erinmore Flake, Erinmore Balkan, Presbyterian and Mac Baren Scottish Blend. 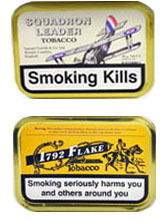 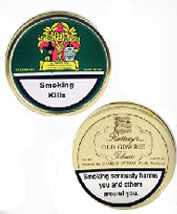 Buy Rattrays Pipe Tobacco at cheap prices online from Cigar Connoisseur, Tobacconist based in the UK with flavours such as Rattrays Marlin Flake, Old Gowrie, Terry Red, 7 Reserve, Black Mallory, Charles Mixture, High Society, Red Rapparee and Sweet Fragrant. 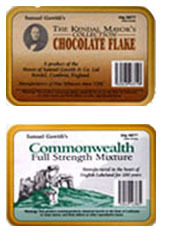 Buy Samuel Gawith Mayor's Collection Pipe Tobacco at cheap prices online from Cigar Connoisseur, Specialist Tobacconis based in the UK, including Sam's Flake, St James's Flake, Westmoreland Mixture and Chocolate Flake are all made in the UK and are high quality.